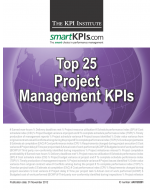 Key Performance Indicators (KPIs) are today some of the most popular management tools, used to understand, learn and improve performance across industries, departments and teams. 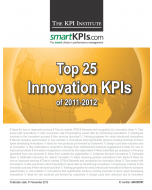 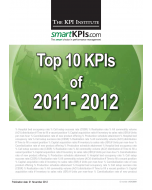 The Top 20 KPIs of 2010 report is a comprehensive analysis on the most popular KPIs in 2010, selected by the number of views they received from the smartKPIs.com community. 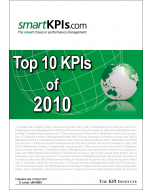 Provides essential information on the most popular 20 KPIs of 2010 which are crucial for learning and improving performance across industries.